By Shauna Irwin | October 11, 2013. 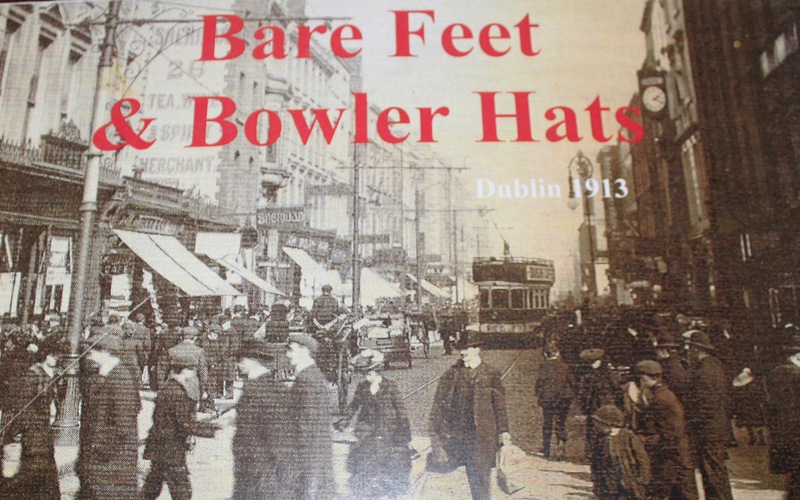 This year the St Nicholas of Myra Heritage Centre launched the photo exhibition Bare Feet and Bowler Hats in honour of the 1913 centenary. The exhibition was launched on the 19th of August and is now showing in the heritage centre which is located off Francis Street. The exhibition is run by director Bernard Warfield and a team of Community Employment (CE) workers who were organised into research teams. The exhibition itself shows the tragedies of the year 1913. Mr Warfield told The Liberty “This year we were celebrating 1913 and the lockout. We decided to tell the story of the year from January to December, rather than just hone in on the lockout. The teams sourced photographs from archives, the internet and “anywhere they could think of” according to the director. The exhibition moved briefly from the heritage centre to City Hall where it was visited by more than 3500 people. On Culture Night 2013, the exhibition was accompanied by a script, music and a slide show to give context to the people enjoying the exhibition. 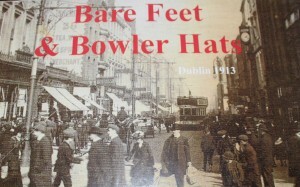 Songs played included the famous ‘Dublin 1913’. There will be another night such as this with an overall review of the exhibition in December. This exhibition is one of many in Dublin this year to honour the 1913 lockout. However the workers of the St Nicholas of Myra Heritage Centre are not new to researching for projects. Every year the CE workers choose a subject to focus on. Last year their project revolved around James Joyce, and in 2011 their project was called ‘Dublin City of Culture’.